As we approach the new year, we are now beginning to wonder --- there are just so many things that we need to let go off to make room for the new things! 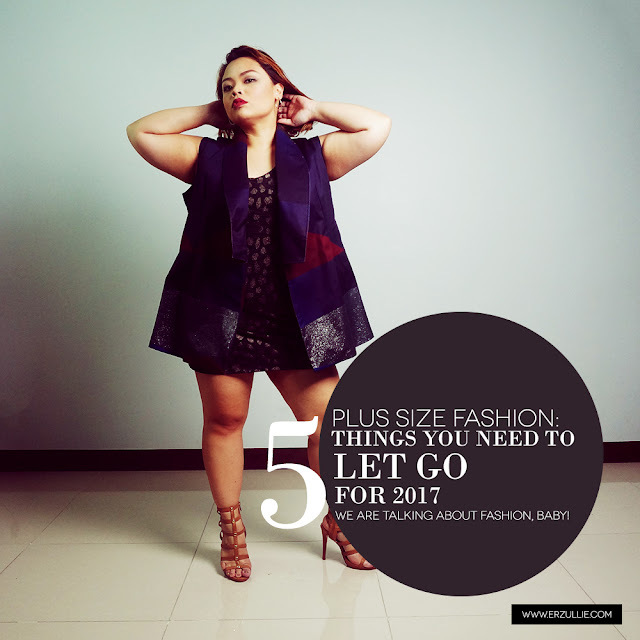 So here is our list of suggestions for your fierce plus size women to consider! Yes. We get it. It's comfortable and it has been with you since time immemorial. But guess what? It's time to let go. It has served you well and truth of the matter is, we are sure that it is wanting to be released and retired to plus size fashion heaven. Grab yourselves some new ones before the new year rings in! We love our flats as much as our heels, but when you are feeling the rocks of a smooth cemented road, then you know it's time to say good bye. After all, your flats are supposed to be protecting your feet. If it's not doing it's job then might as well give it the retirement it deserves. This one, I got from a friend. The "sunday" shirt is that shirt that is full of holes making it "hole-y". Although there are times that an Erzulliesta just want to chill and rock it, if the hole is big enough for three of your fingers to push through, please reconsider finding another Sunday shirt. Although it could be a great style challenge to wear it now before the year ends, if you still think that you can't wear it and it has been a year, consider giving it to someone who might love it. Remember, Erzulliesta, what goes around, comes around. So give fashion, receive some! Erzulliestas love high quality things. But alas, time will show on our trusty wallets and if you know that it's time to find a new home for your financial essentials, then time to let this one go. After all, nothing is better in the new year than inviting new money with a new wallet.